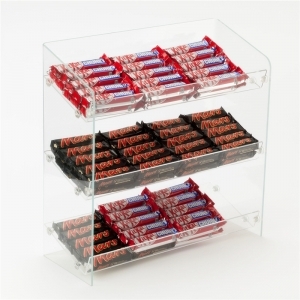 Our acrylic display plinth has round and square shapes. 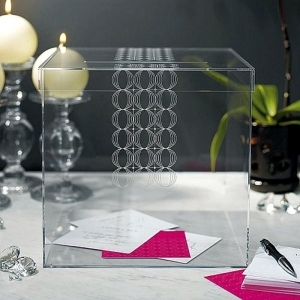 Color for round plinth is clear, white or black. 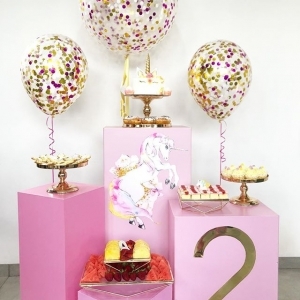 Color for square plinth is clear, white,black or customized color. 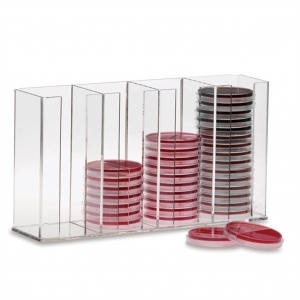 For acrylic CD display holder, size and color can be customized. 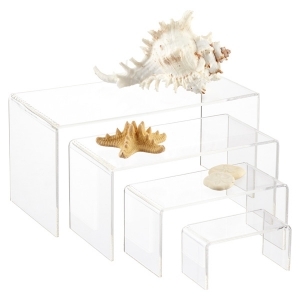 Proudly and securely display collectibles, miniatures, models, dolls, awards and trophies with our Rectangular Acrylic Risers. 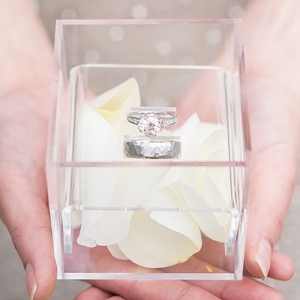 They elevate your favorite treasures to keep them completely visible. 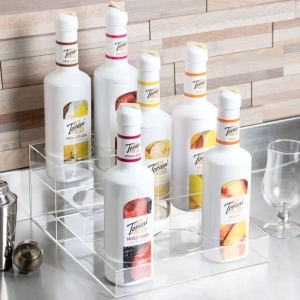 Use this 9 bottle holder to eliminate the confusing clutter of your bottle selection, whether wine bottles, specialty beverages, or flavored syrups. 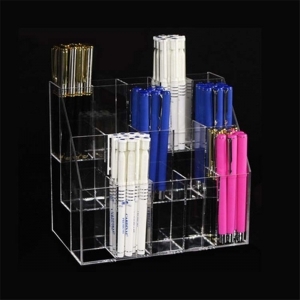 Durable and modern in design, it's sure to blend in wherever it is, providing an organization solution without detracting from the product it displays. 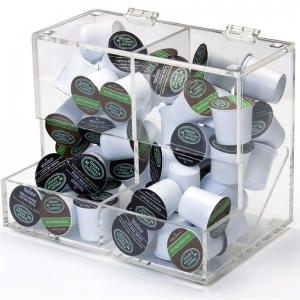 This bottle organizer is the perfect addition to your coffee shop, cafe, restaurant, or bar! 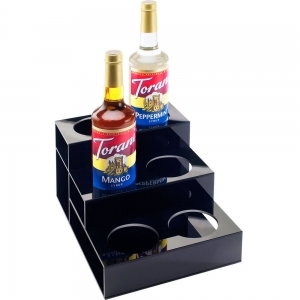 Its step-style, 3 tier design makes bottles easily accessible and identifiable in your fast-paced venue. 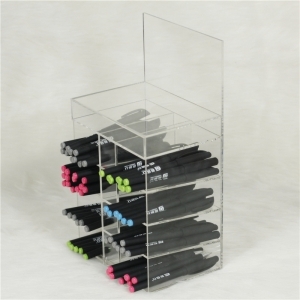 This organizer has 6 separate holes for neatly storing and displaying your syrup bottles. 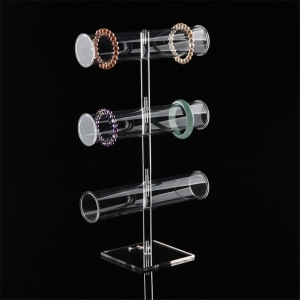 The acrylic retail jewelry bracelet display stand has 3 round tube and can hold more than 30pcs bracelet. 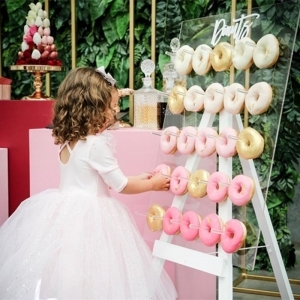 Top tube can also be used for necklace. 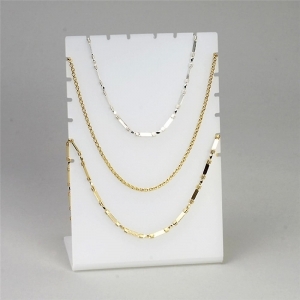 This custom jewelry necklace display stands can hold more than 5 pieces necklace. 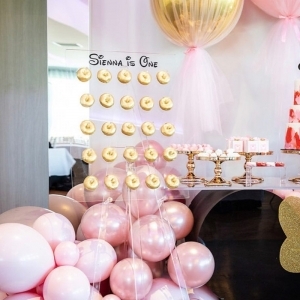 Color can be customized like clear, white, pink or blue.